Join Stratton Mountain Resort for their Mountain Friends and Freedom celebration this summer, June 29-July 2, 2018. 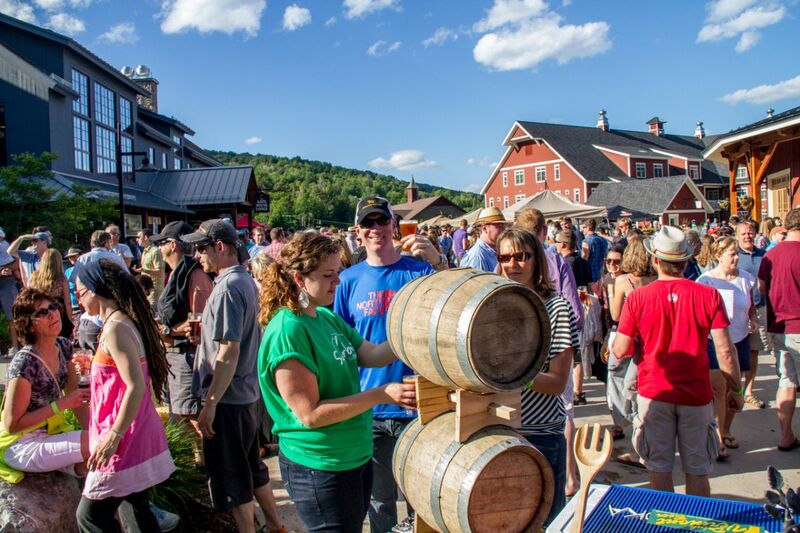 Sugarbush Resort's annual Brewgrass Fest kicks off on June 9, 2018. Mark those calendars and make sure the weekend getaway bags are ready, Vermont ski resorts have a whole array of events this summer and there’s going to be something for everyone in the family to enjoy. No matter your skill level, improve your mountain bike skills with a day of free clinics on the newly designed Trapps Mountain Bike Skills Course. Join magician and juggler Scott Jameson on May 27th and August 11 for an extraordinary performance that will have you laughing out loud and perched on the very edge of your seat. Start at Suicide Six Ski Area at 8:15 am and experience some of Vermont's Covered Bridges and support local charities while running the best 13.1 miles in New England. Taste craft beers from more than twenty Vermont breweries, local eats and listen to jammin’ bluegrass bands. Featuring three days of live music with a lineup for all genres of music fans, plus camping, art, yoga, local food, skateboarding, dance workshops, inspiration, and of course “Frendship”. 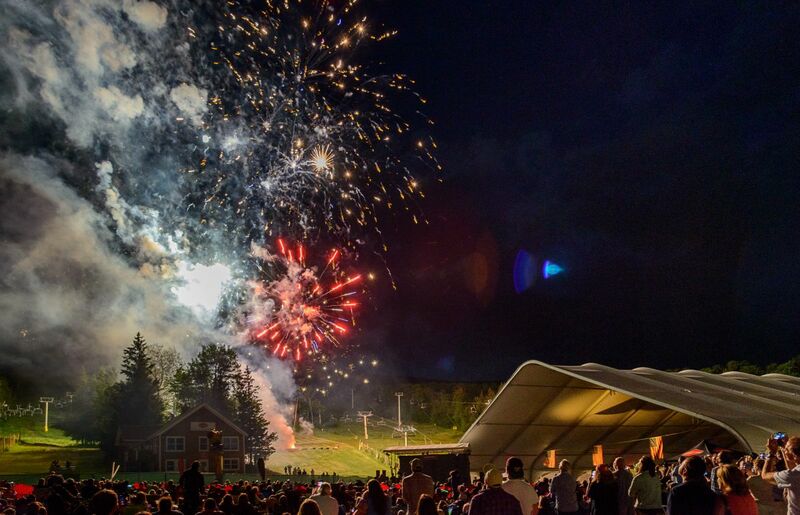 Celebrate the Fourth of July with family activities, scenic gondola rides, craft brews and barbecues, live music including Josh Panda Party and The Marshall Tucker Band followed by fireworks on June 30. 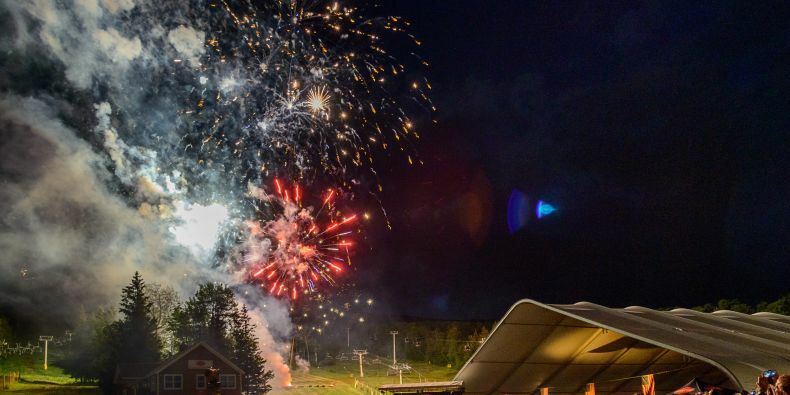 Join Mount Snow as they celebrate our nation's independence with a huge fireworks display and BBQ at the annual Fireworks for Freedom celebration. Enjoy live rock n' roll music from a band out of Westchester, NY from 1-4pm. On July 7th Mount Snow plays host to the Angry Orchard Rock The Roots Tour featuring Sublime with Rome, Dirty Heads, Lupe Fiasco, Pepper, and Matisyahu, so if you love hard cider, great music, hanging with friends and meeting new ones, then Rock the Roots is for you. Tickets available. The Enough Is Enough Recovery Run is a timed trail running event and fundraiser with 3, 6, and12-hour options on a 2.6 mile course with 1000ft of climbing per lap. Three days of live music, crafts, food trucks and beer ... a homecoming of all the best things in life. Participate or spectate this stop in the Eastern States Cup with Enduro and Downhill events. Three days of wining and dining in the beautiful Green Mountains. Enjoy wine tastings at the Killington Peak, K-1 Base Area, restaurants and more. 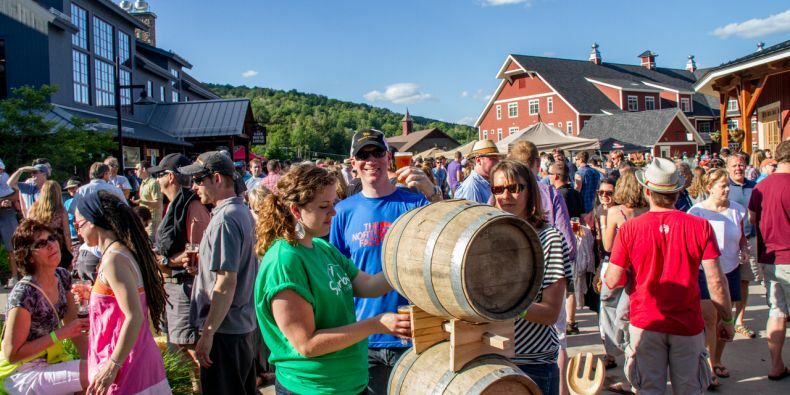 A Vermont Chamber of Commerce Top Ten Summer Event, 2018 marks this festival’s tenth year to sample over 100 craft beers, ciders fine wines. Woodstock's Annual street festival features over 50 vendors on Elm St and highlights local food, crafts and art, while entertaining with children's activities, live music, beer, and wine.